I have make my code ready on Windows, but I find it's not easy to share to boot2docker. I also find that boot2docker can't persistent my changes. For example, I create a folder, /temp, after I restart boot2docker. This folder disappears, and it's very inconvenient. What is your way when you have some code on Windows, but you need to dockerize them? I try to update the setting in VirtualBox and restart boot2docker, but it's not working on my machine. Boot2Docker is a small Linux VM running on VirtualBox. So before you can use your files (from Windows) in Docker (which is running in this VM), you must first share your code with the Boot2Docker VM itself. I have Windows 10 Home edition with Docker toolbox 1.12.2 and VirtualBox 5.1.6. I was able to mount a folder under C:\Users successfully in my container without doing any extra steps such as docker-machine ssh default. So having your files under C:\Users probably is the simplest thing to do. 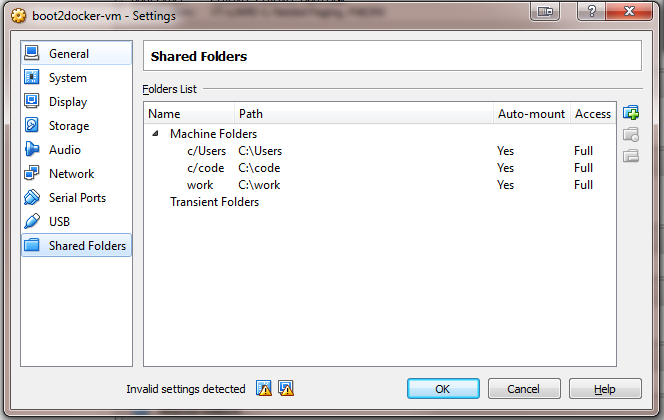 If you do not want to have your files under C:\Users, then you have to follow the steps in the accepted answer. # Step 1. VirtualBox. Add the error in the command line, in the VirtualBox image interface manually add, as shown above. # Try 1. Only a temporary effect. Restart VM after sharing failure. #docker-machine ssh default "sudo mount -t vboxsf -o uid=1000,gid=50 E_DRIVE /e"
#docker-machine ssh default "sudo sed -i '$ a\E_DRIVE /e vboxsf uid=1000,gid=50 0 0' /etc/fstab"
Windows + Boot2Docker, How to add D:\ drive to be accessible from within docker? In the System Tray, you should have the cute Docker whale swimming. Right click and select Settings. Click on Apply. 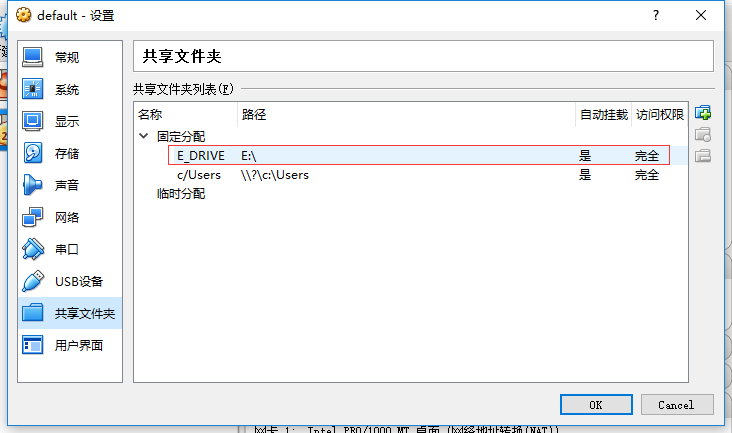 This will bring up the Credentials dialog and you will need to provide your current Windows credentials. Ensure that you give it correctly. I also suspect that you might need to be an administrator. I have CentOS in my local Docker container. ./VBoxManage sharedfolder add default -name win_share -hostpath "C:\docker\volumes"
Not the answer you're looking for? Browse other questions tagged docker boot2docker or ask your own question. 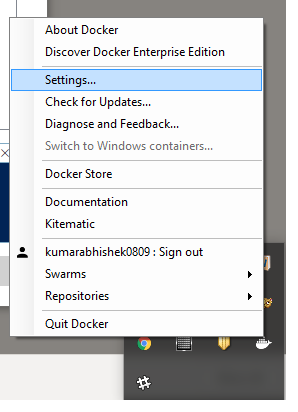 How to use --volume option with Docker Toolbox on Windows? How to upload files with RSelenium? How to persist changes to boot2docker in docker-machine? Docker toolbox: Is there a way to mount other folders than from “C:\Users” Windows? How to share file backward to windows?